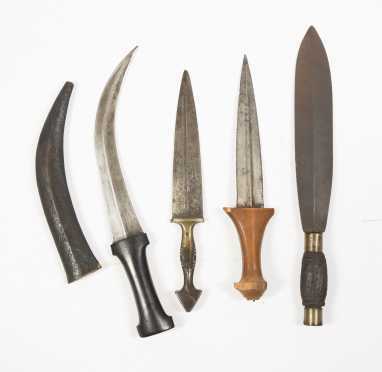 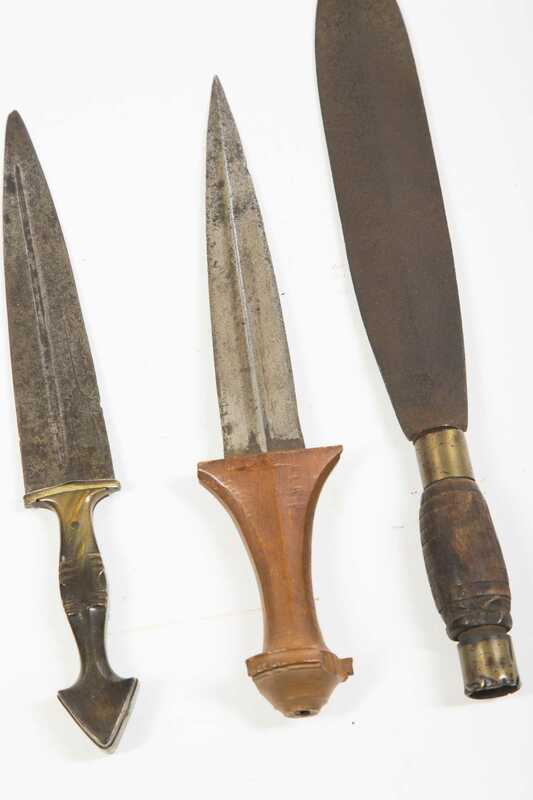 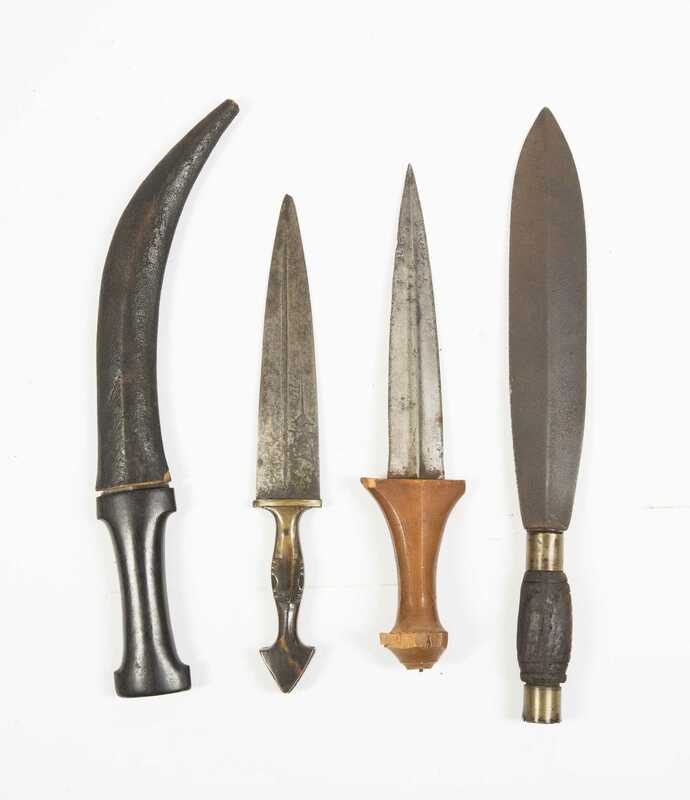 Four Miscellaneous Knives, A) Double edge blade dagger with engraved sword fish and 1848 "Ihai Ipaucy"?, 11 3/4" Loa, broken off tip of blade, bone handle with crack, possibly 20thC copy. 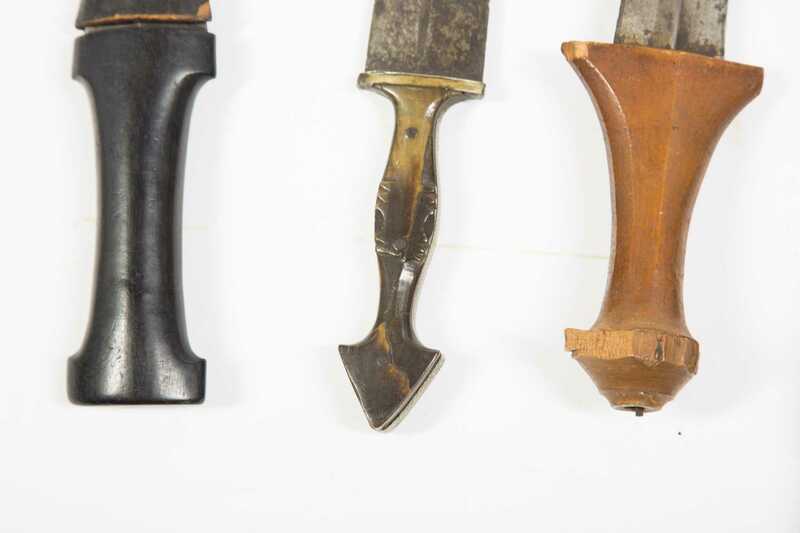 B) Curved double edge blade knife wooden grip, matching wood sheath with black skin cover, 14 1/4" Loa. 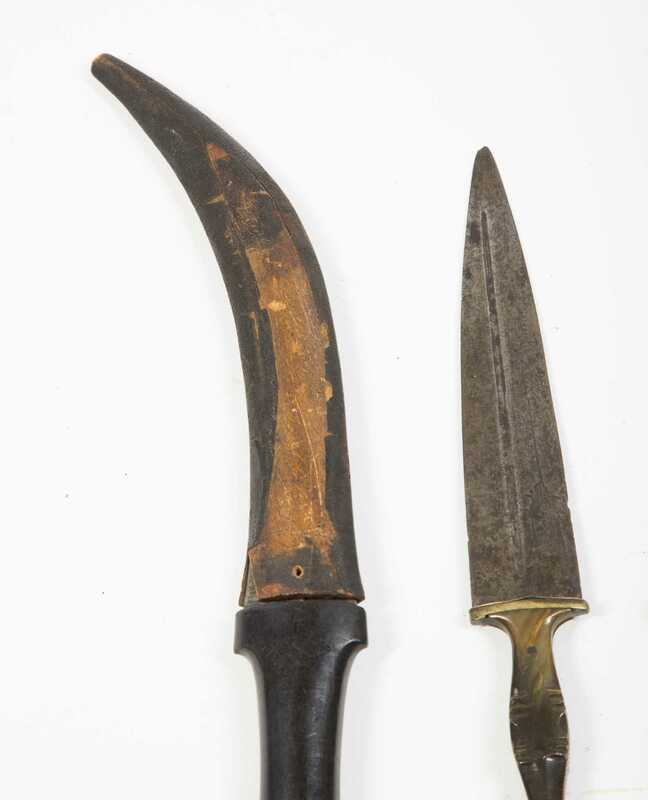 C) Possibly African wooden handle double edge blade dagger 12" overall, handle losses. 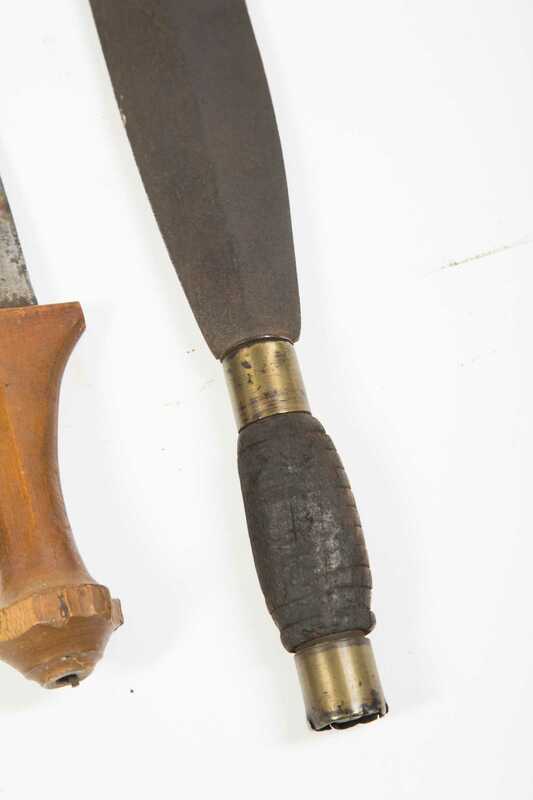 D) Double edge blade with wooden handle and two brass collars, 14 1/4" Loa, probably 20thC copy.